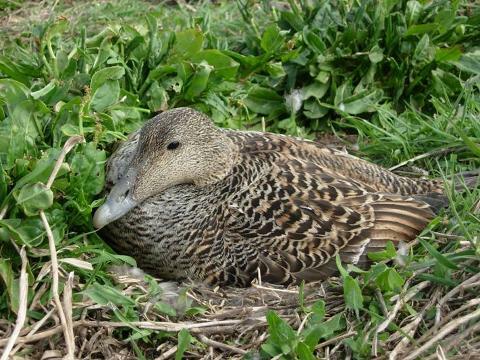 During the breeding season (May 1st until July 31st) it is possible to make a morning landing on Staple Island. The trip lasts approximately 2½ hours including an hour on Staple Island. 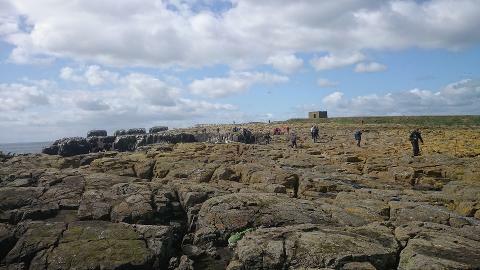 We also sail round the other Islands including Longstone, Inner Farne and and visit the Grey Seal colonies at several vantage points with full commentary en route. National Trust members land free of charge on Staple Island, non-members pay a landing fee payable at the National Trust Kiosk on the harbour before departure - this payment is not included in the boat fare. This island is noted for its vast seabird colonies, especially those of the Auk family such as Guillemots, Razorbills and Puffins. 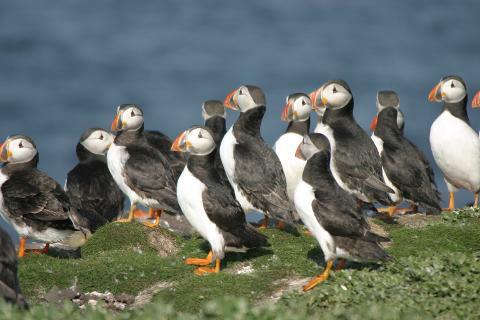 Puffins are the most numerous birds that nest on the Farnes with over 10,000 pairs nesting on Staple Island alone! 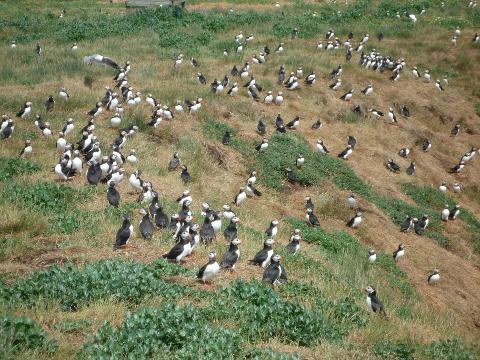 A footpath over the top of the Island takes you straight through the nesting Puffins. "The Pinnacles" are isolated rock stacks situated off Staple Island, and the cliff faces offer the perfect opportunity to see these birds in their natural habitat. 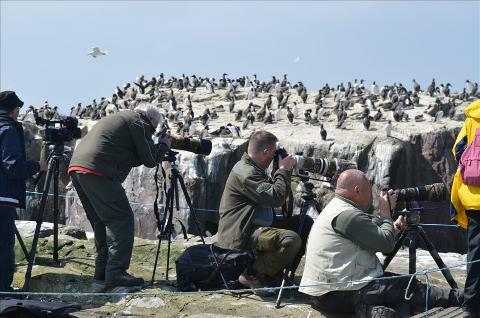 Staple Island is an ornithologist's and photographer's dream and for anybody who wants to get close to these birds it's an experience they'll definitely take home with them. Staple Island is a rocky island and as such is not recommended for disabled visitors or for those with walking difficulties. It is also an island which is very exposed to the elements which means landing can occasionally be difficult. Landings are always made at the skippers discretion.